Home › Bradley Herring, Ph.D.
Bradley Herring, Ph.D., is an assistant professor in the Department of Health Policy & Management at the Johns Hopkins Bloomberg School of Public Health, and the director of their Ph.D. program in health economics & policy. 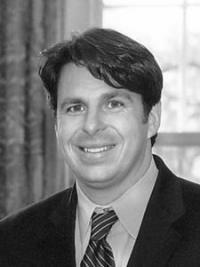 Dr. Herring’s research has primarily focused on economic and public policy issues related to health insurance coverage. Examples of past topics include health care inflation’s impact on wage growth, state efforts at covering uninsured adults, Medicaid HMOs, and the individual health insurance market. His work has been published in the New England Journal of Medicine, The Journal of Health Economics, and Health Affairs. Dr. Herring was also a co-author of the book Pooling Health Insurance Risks. Prior to joining Johns Hopkins University in 2007, Dr. Herring was an assistant professor at the Rollins School of Public Health at Emory University, and a senior economist on the White House Council of Economic Advisors. Dr. Herring received his Ph.D. from the Wharton School of Business, University of Pennsylvania. After completing his doctoral work, he received a Robert Wood Johnson Foundation Scholars Fellowship in health policy at Yale University. Dr. Herring received a B.S.E. in biomedical engineering from Tulane University.